Have I found the perfect partner for my Road Trips? 150 Kilometers, 20 Cars & 60 Bloggers. The weekend gone by has been one like no other. I was at the Preview Drive of Tata Motors‘ upcoming 4 wheel drive HEXA. Pitched as a ‘lifestyle’ vehicle, the Tata Hexa is surely one hell of a ride. Well try as I might, I fail in finding words that can be as apt but sombre! Starting off with an exclusive product presentation, everything from the cupcakes to the route we were to take the next day was designed to deliver the perfect #HexaExperience. & given that Tata Motors has a brilliant car to back that promise of an experience, the journey was super fun! 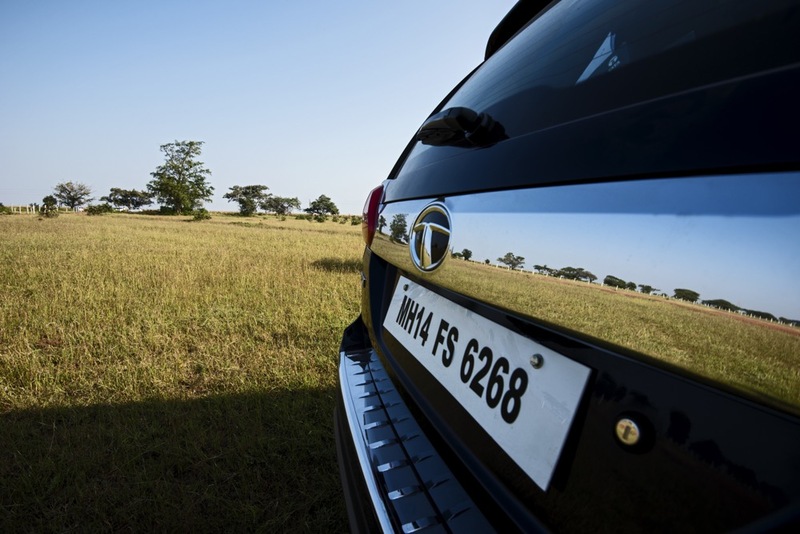 So, come step into the Tata Hexa. and we will set off into the sunrise for a .. The Tata Hexa doesn’t just look powerful, it actually is. We reached Ananthgiri Hills, a good 75kms away, in an hour inspite of the photo breaks we took. So that we had more than enough time for the change over to the Automatic variant and hob nob with fellow bloggers over coffee while we waited for our cars to get all squeaky clean again! & still be back in time for the Offroad Experience, which in truth was nothing less than a real time roller coaster ride. Hand on heart Tata Motors won me over with this one. ♥ Off road capabilities like no other. I can go on and on with this one. The car has been programmed to electronically stabilise itself during tricky manoeuvres on terrains of all kind. The car can also intelligently sense from the pressure applied on the brakes and the throttle release if the driver panics and automatically refills the brake lines electronically to keep vehicle stability while optimising braking distance. For this demonstration, sitting in the car experiencing first handaggressive braking at fast speeds, all that was noticeable to me was the sound of the engine revving and the dust flying! So bye bye nose dives and skids. But, the feature I loved the most was the Hill Descent Control, push a button and leave it to the car to take you downhill. No clutch, brake, accelerator. Period. ♥ View from the driver’s seat! Dont blame me if I like looking down on everything else on the road. 19 inch alloy wheels + seat height. ♥ 10 JBL speakers with a Harman system. Besides, Kala Chasma on full volume and not one villager stared at us at the railway crossing where we were stuck for a good 25 minutes! & yes, you would rather listen to your favourite music in your car now. ♥ Dynamic Mode in the Manual. Adrenaline Pumped, they call the car and I couldn’t phrase it any better. Choose this mode when you want maximum power and acceleration. Yay, Road trip. Now you don’t need mobile network or data connectivity to navigate on your next road trip as an explorer. ♥ Straight line shift in the Automatic. Shifting gears and modes has never been smoother. Upshift when you crave an adrenaline rush and leave it to the Hexa to downshift for you when needed, all in a quick and smooth one flick. ..because, I am still me and cannot just like everything. ∅ The bucket seats in the second row of the Automatic. I prefer the bench seats in the Manual. ∅ Would love a one touch return to the map, instead of having to ‘navigate’ through all the available apps to get back. Here is wishing Tata Motors all the success it truly deserves on the Hexa, when it launches later this year. The Video of the Tata Hexa making a splash was shot by fellow blogger Giridhar Chandrasekar of Phonelicious. This #HexaExperience was made possible thanks to Indiblogger. A great car and a great post! It was nice to know the first hand experience from someone who knows their cars. Also, the Hill descent mode seems a great option too!